A new survey and collections made available for research. "A History of Play in Print: Paper Games from Cards to Candyland"
Mark Johnson. " 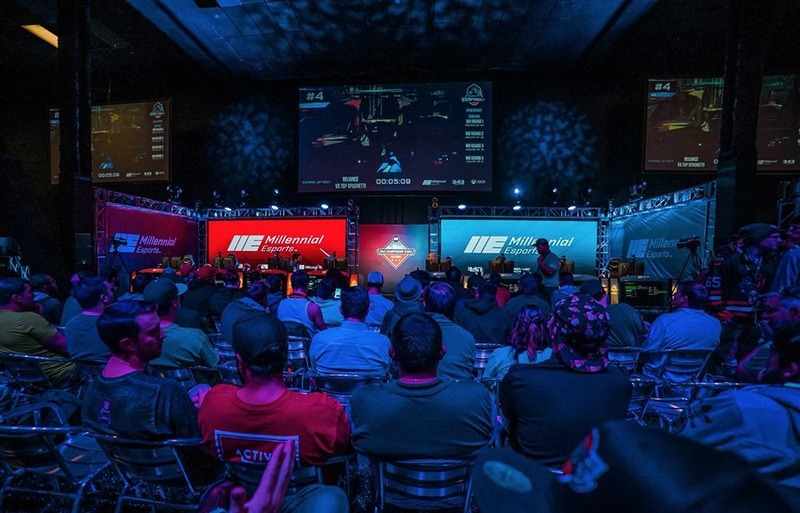 Comparing the Professionalization of Pro Gamblers and Pro Video Game Players"
ABSTRACT: This paper explores the lives and practices of professional gamblers and professional video game players. Although both sets of individuals earn their incomes through games and other broadly "playful" practices, the work identifies four significant differences in their careers and what the "everyday" of these individuals looks like. Firstly, in terms of the nature of "skill" required to progress in these careers, and how these players reflect on and understand their own skill; secondly, the role of money and "money management" in their lives, and the different rhythms of financial gain, and potentially loss; thirdly, the observation that whereas almost all professional video game players pursue a single game to a high level, professional gamblers generally pursue many games, a reflection of the different economic superstructures surrounding the two practices; and fourthly, differences in working hours and freedom, where professional gamblers live a life of flexibility and variation, whilst those of eSports players are regimented and highly structured. It shows that although both are professional game-players, there is wide divergence in this experiences, caused by the entanglement of external factors such as skill, luck, risk, legality, and technology, in this practices. The paper concludes by recommending future research into these elements and how they intersect with gameplay, in order to future understand the lives of these most skilled game-playing individuals. The UNLV University Libraries has made the Eugene Martin Christiansen Papers available to researchers through the Special Collections and Archives Division at Lied Library. Christiansen is a consultant and chairman of Christiansen Capital Advisors, LLC. He has worked as a consultant for the commercial gaming and entertainment industries since 1976, and written extensively on gambling legalization and regulation, the economic impacts of legalized gambling, taxation of gambling and entertainment, Native American gaming, and pari-mutuel wagering. 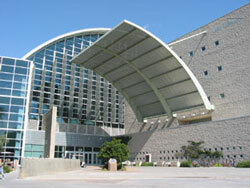 Christiansen is a member of the National Council on Problem Gambling and the Institute for the Study of Gambling and Commercial Gaming at the University of Nevada, Reno. The Eugene Martin Christiansen Papers, dating from 1948 to 2017, contain research files, reports, and presentations about gambling written and collected by Christiansen. 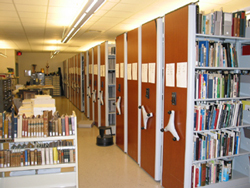 Most of the collection is comprised of research files and reports about legalized gambling, casinos, hotels, racetracks, and entertainment venues, including the economic impacts of legalized gaming, popularity of off-track betting, horse and dog racing, table games, gambling addiction, gaming regulation, taxes, lotteries, and Native American gaming. Processing of the collection by UNLV University Libraries Special Collections and Archives was made possible by a $129,600 grant from the National Historical Publications and Records Commission (NHPRC). A complete summary of the items available in the collection can be found online www.library.unlv.edu/speccol/ead/MS-00561_christiansen.pdf. The UNLV University Libraries has made the Gary W. Royer Collection on Gaming available to researchers through the Special Collections and Archives Division at Lied Library. Royer is a Certified Public Accountant (CPA) who served as an auditing agent, supervisor of internal control for the Nevada Gaming Control Board, and President of the Casino Control Corporation. In the late 1970s, Royer founded the Casino Control Corporation (CCC), a management consulting firm that focused on researching and creating management and internal control procedures for facilities and corporations involved in the gaming industry, particularly in Nevada and New Jersey. CCC provided management services to casinos, manufacturers, distributors, and regulatory agencies involved in the gaming industry both in the United States and internationally. The Gary W. Royer Collection on Gaming, dating from 1950 to 2009, contains research files, legal files, reports, and manuals about gaming written and collected by Royer throughout his career. Files related to his work withduring his time at the Nevada Gaming Control Board. These files primarily document the legislation and regulation of gaming in Nevada, but include information on other states in the US and some international locations. Processing of the collection by UNLV University Libraries Special Collections and Archives was made possible by a $129,600 grant from the National Historical Publications and Records Commission (NHPRC). A complete summary of the items available in the collection can be found online at www.library.unlv.edu/speccol/ead/MS_00658_royer.pdf. The page is designed to assist research into the phenomenon of competitive video gaming, or esports. It is intended to provide researchers at all levels with some secondary sources (research and analysis) about the topic, as well as primary sources for new original research. Last month, Center Director David G. Schwartz spoke with approximately 15 print, online, radio, and television media contacts about a range of topics.